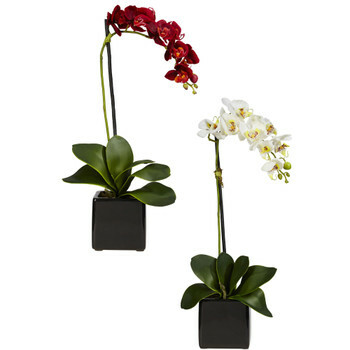 Silk orchid arrangements from my Miami favorite importer/wholesaler. 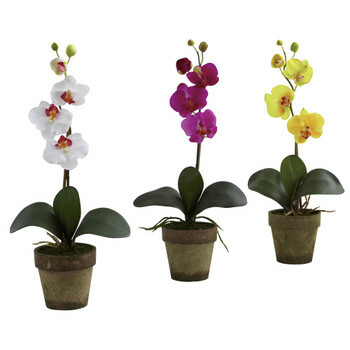 We really should say artificial as different materials are used to create the natural look. 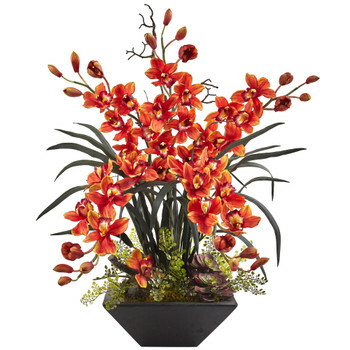 Let us check the designers one of a kind artificial orchid designs. 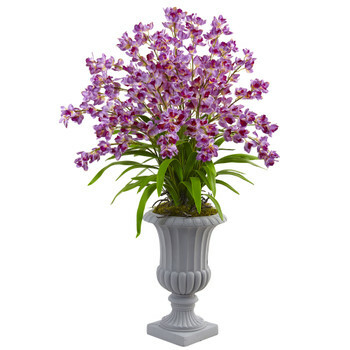 Their collection of orchids comprises: Phalenopsis, Cattleya, Cymbidium, Oncidium, and more. The containers vary from glass, ceramic, modern, traditional or zen like. 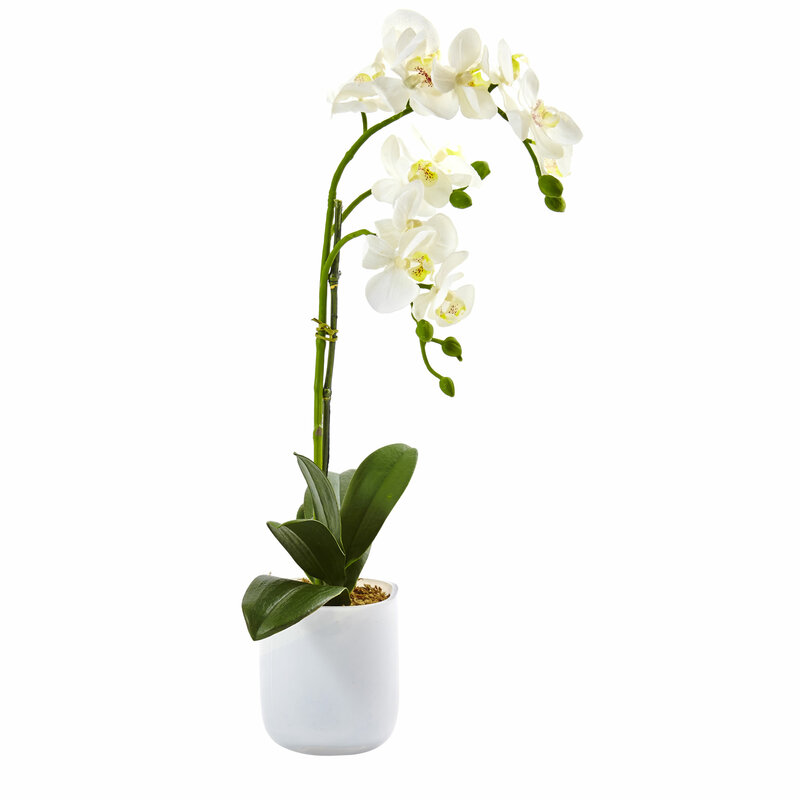 Elegant White Phalaenopsis arrangement. 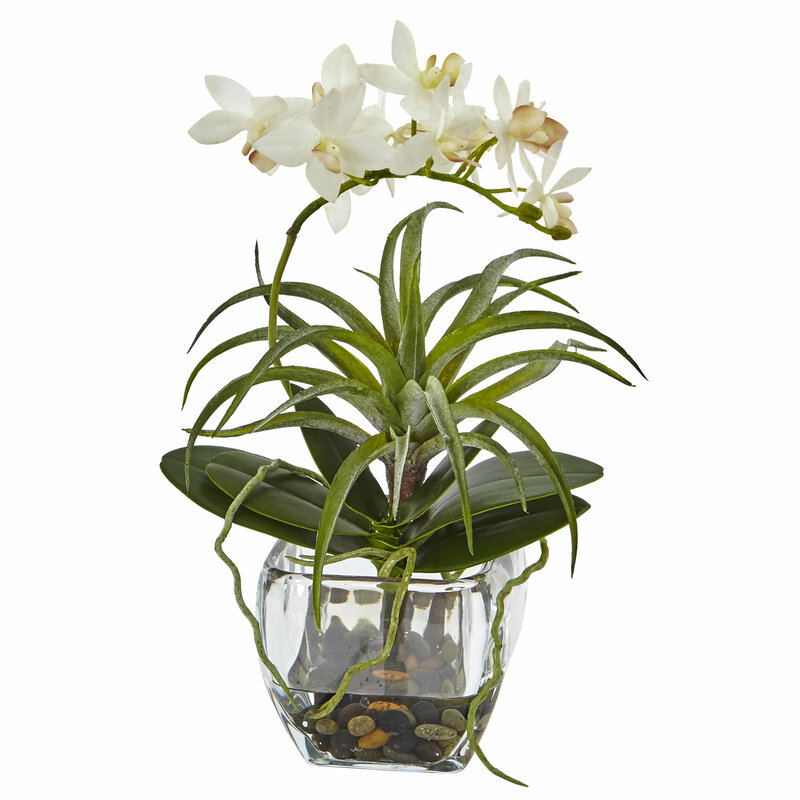 Blossoms cascade against rich green stems for the perfect side-table accent. 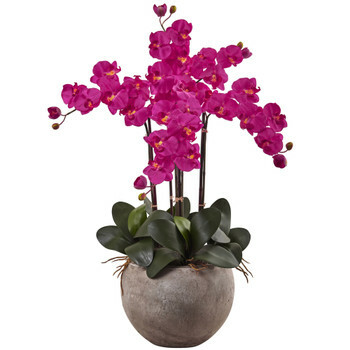 Includes frosted glass planter. H: 4.25 In. W: 3.5 In. D: 3.5 In. 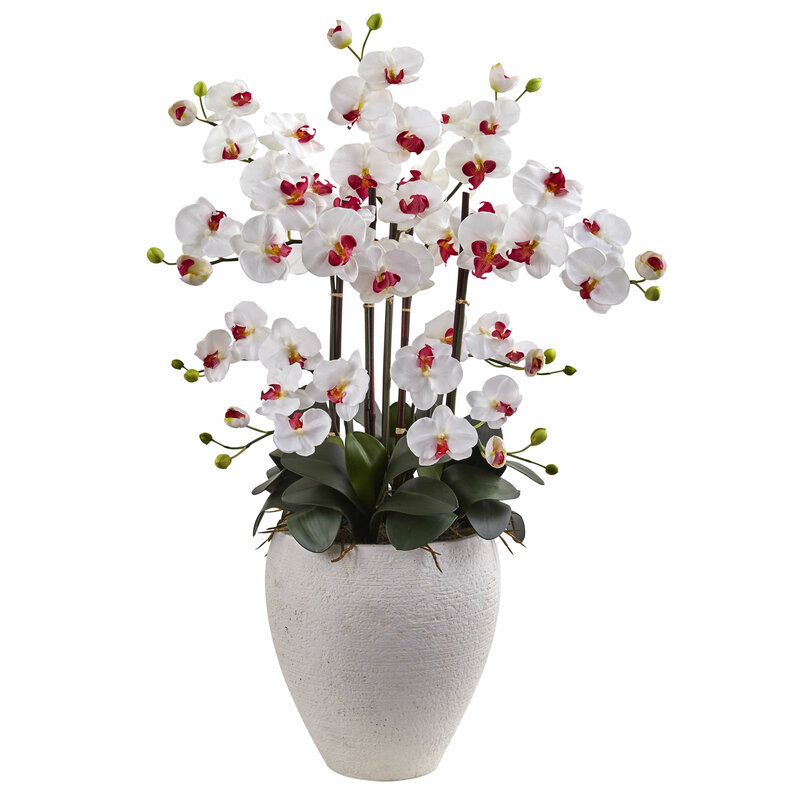 A classic piece, with white phalaenopsis orchids. 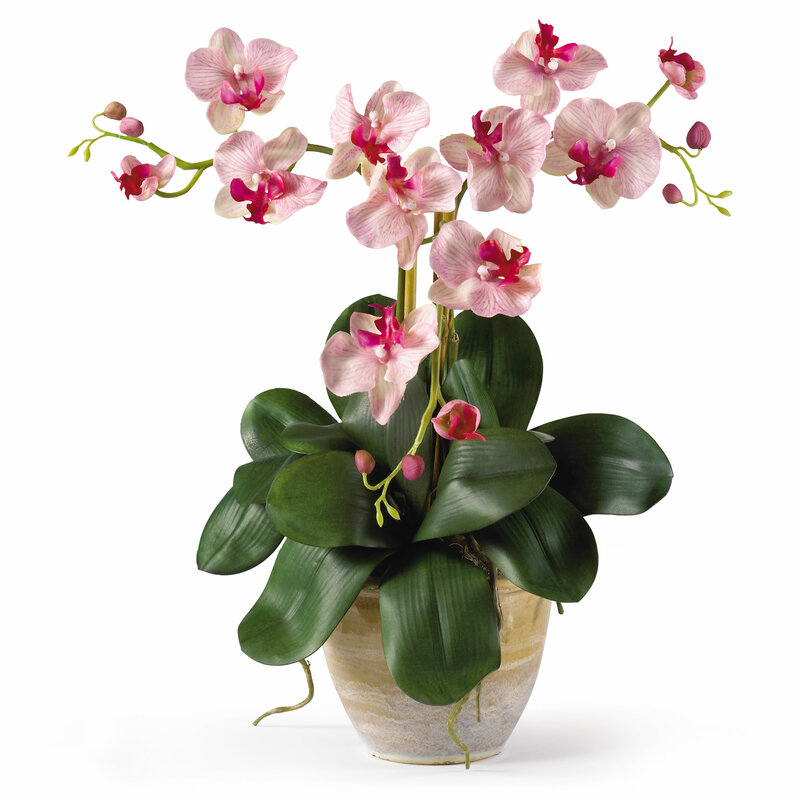 Dainty buds at the end of each branch and lush greens at the bottom complete the arrangement. 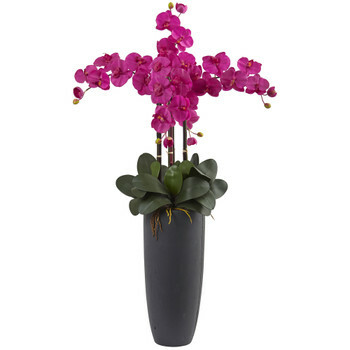 Elegant Minimalist Phalaenopsis arrangement. It has delicate blossoms cascading over each other. Black vase. H: 4.5 In. W: 4.5 In. D: 4.5 In. 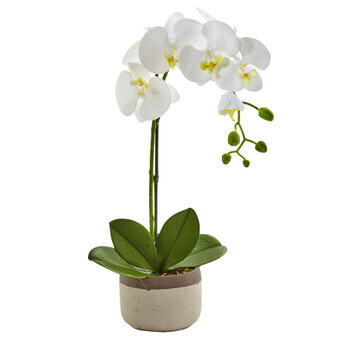 Phalaenopsis White Orchid arrangement.. Planter includes ceramic pot in neutral gray. Pot Size: H: 3.5 In. W: 5 In. D: 5 In. Available in 9 colors. Click on the picture for complete information. 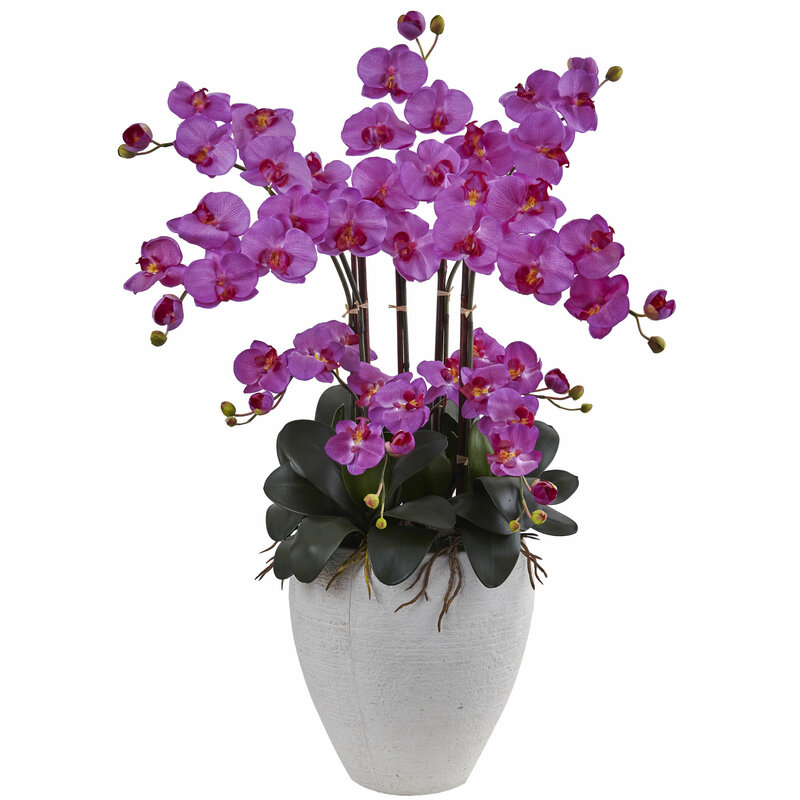 Specifications Height: 41 in.Width: 23 in.Depth: 23 in. 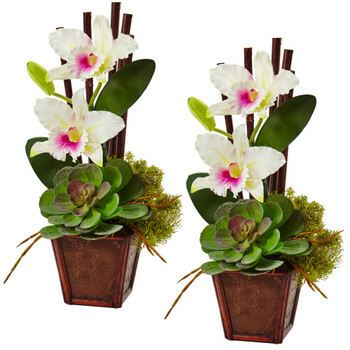 An exotic blend of delicate orchid blooms and textured succulent leaves blend for a unique tabletop arrangement. Pot Size: H: 4 In. W: 4 In. D: 4 In. 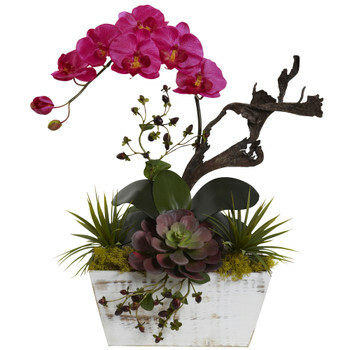 Modern and trendy arrangement with succulent leaves in a faux water planter with stone accents. Pot Size: H: 3.25 In.